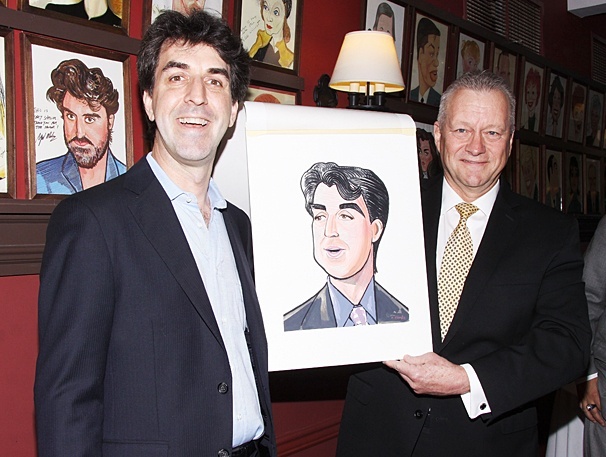 Sardi's president Max Klimavicius presents the new portrait to The Bridges of Madison County composer Jason Robert Brown. Jason Robert Brown, the Tony-nominated composer of The Bridges of Madison County, was honored with a portrait on the legendary Sardi’s wall on May 14, 2014. Click to see the new work of art!